Let us help you discover how Wolf and Sub-Zero kitchen products turn an ordinary kitchen into hallowed ground. We want Wolf and Sub-Zero appliances to bring elegance and performance to your kitchen. Make more than a feast. Make a statement. Close your eyes and picture the kitchen of your dreams. 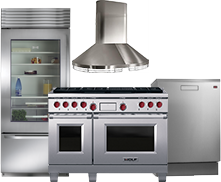 We can show you Wolf and Sub-Zero appliances that will help you turn it into a reality. Wolf and Sub-Zero deliver products with an advanced level of performance and technology. Your kitchen experience will never be the same. The best way to picture your perfect kitchen is in person. Explore one of our showrooms to witness an appliance’s true performance and how every appliance we feature can help complete the inspired kitchen of your dreams. When you bring people together who have similar passions and excitement about food, it creates a community of connoisseurs who are continually exploring all things culinary. With Wolf and Sub-Zero products from Roth, the sky is the limit for your future kitchen. That’s why we partner with Muse studio – to help you bring your vision to life. It’s never been so easy to collect, share inspirations and be inspired by others. Spend some time Musing and you’ll have kitchen remodel ideas worthy of your Wolf and Subzero luxury appliances. 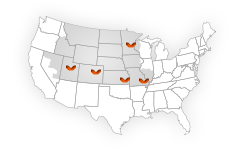 We’re connecting our clients from Colorado, Utah, Minnesota and Missouri to the luxury appliances and resources they’ve been looking for. Let us help you add luxury living to your life.